and the latest comes from an 11-year-old boy who is attempting to get Bombay High Court to ban it for promoting violence, aggression and cyberbullying. We believe PUBG helps channelize our violent instincts into the game, rather than allowing a more dangerous outburst in real life. Jim Hawdon, a PhD in sociology conducted a study showing first-person shooter gamers were less prone to violence than people frequenting social media sites. Another study by Christopher Ferguson, a psychology professor, showed there was no true correlation between violence in games and that in real life. In fact, he concluded people might stay in, channelizing violence into games than committing violence in reality. While PUBG might not promote violence and aggression directly, it promotes nihilism. Nihilism is defined as the destruction of or desire to destroy all structures that allow normal functioning of humans within society. A Battle Royale format forces players to become nihilists, trying to survive. PUBG's pros far outweigh the cons, according to this writer. Duos and squads often have you teaming up with gamers from other countries, not only encouraging teamwork but also leading to interactions. 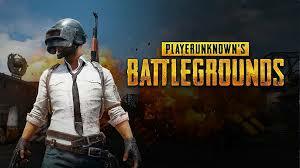 Firefights and enemy engagements in PUBG help gamers develop faster reflexes and teach them how to deal with stressful situations. These are all qualities that can help PUBG gamers in real life. You might not believe us when we say video games improve reflexes. However, armies, too, use video games to the same extent. Recently we reported that the Indian Air Force was coming out with a game to encourage potential fighter pilots, and test their reflexes in battle. The US army also encourages soldiers to play first-person shooters like Call of Duty for honing reflexes.